Math is a Wonderful Thing! That is the slogan that Michael Jachimowicz (’14) and Sara Jones (’14) came up with when they made a sign for my classroom a few years ago. What a great way to start every work day, to see this simple, yet amazing slogan! One of the things it represents to me is that students at KES have so many opportunities to be involved in the activities they love – including mathematics! The Math Department has had a plethora of activities available to enrich our students’ math knowledge, interest and ability this fall. 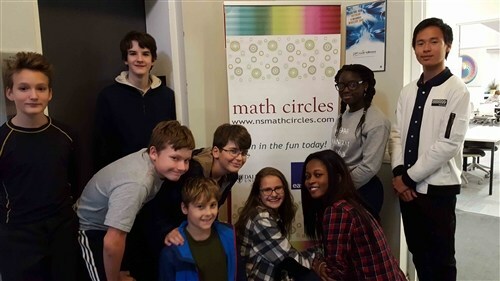 Dalhousie Math Circles – Students in Grades 7-9 have an opportunity to attend Math Circles at Dalhousie University once each month. This is an evening of math presentations on certain topics (such Game Theory or Graphing Theory), some problem solving, and pizza. For those interested, the next Math Circles will be January 17. Acadia Math Buffet - Acadia University holds what they call Math Buffet once a term. It is for older students (Grades 10-12) who attend a math presentation, do some problem solving, math trivia, and have pizza. The next Math Buffet to put on your calendar is February 5. CEMC Math Contests - Each year, the School participates in math contests developed, distributed and marked by the Centre for Education in Mathematics and Computing (CEMC) from the University of Waterloo. The first of these prestigious contests of the school year was written this week, with seventy-one KES students taking part! This two-hour contest is marked not only on correct answers, but full solutions, encouraging appropriate communications in mathematics. 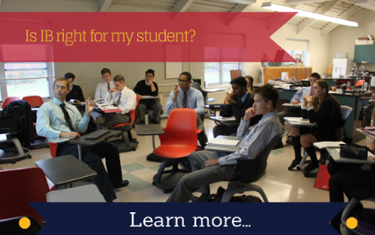 To prepare for these contests, Ms. Shields runs an afternoon of pizza and problems in her classroom. The next contests will take place in February, and along with Ms. Shield’s session, Mr. Trace will be running practice sessions for the Senior School students. Any students wishing to practice on their own are encouraged to use past contests from the website. Nova Scotia Math League – KES has an active Math League team that practices on Tuesday evenings. Led by Captain Skyler Li, and teachers Mr. MacLean and Ms. Moon, these students will be competing at the first contest of the year on Saturday, November 25. Each team consists of four students. There are several rounds to the contest, some are team problem solving, some are paired problem solving, and some are individual problem solving relays. Good luck to our teams this weekend! The wonderful thing about striving to be more is that you never know where you might end up. Through our International Baccalaureate Programme, our students are able to pursue post-secondary education almost anywhere in the world. Download our IB Guidebook here.